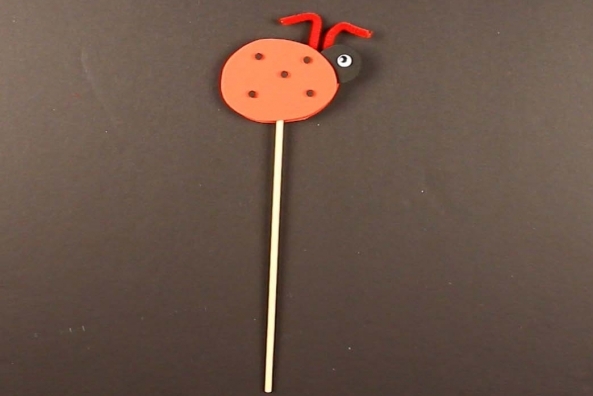 Add some flare to your potted plants with these adorable insects that won’t eat up your leaves! 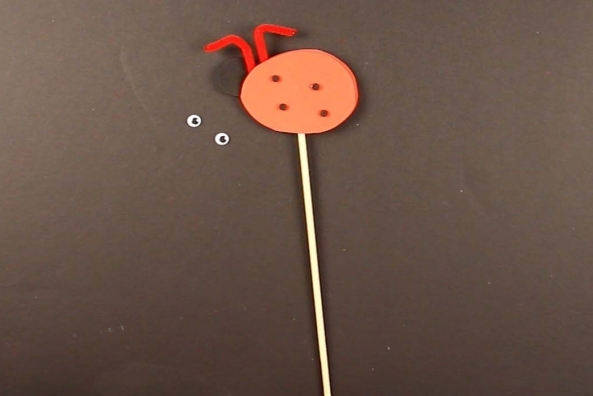 What makes a ladybug grouchy? 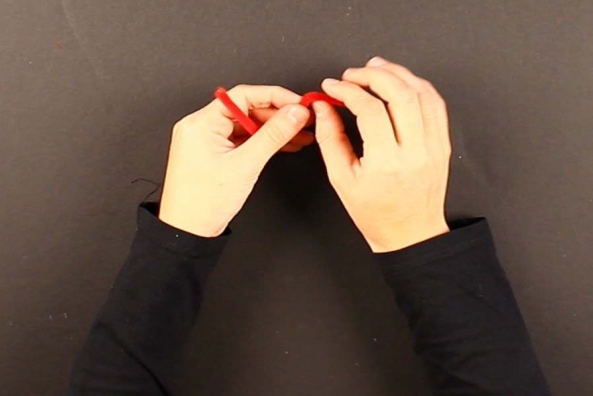 Enjoy this classic and find out. 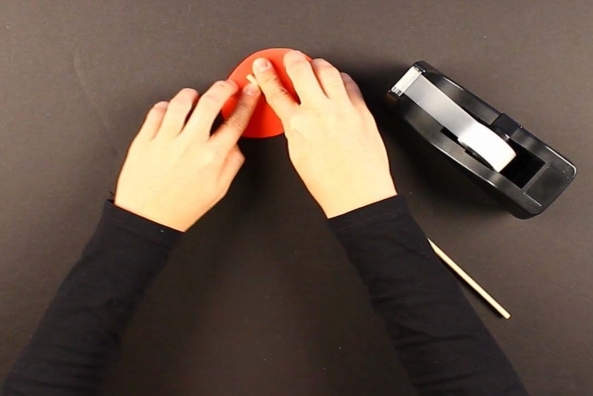 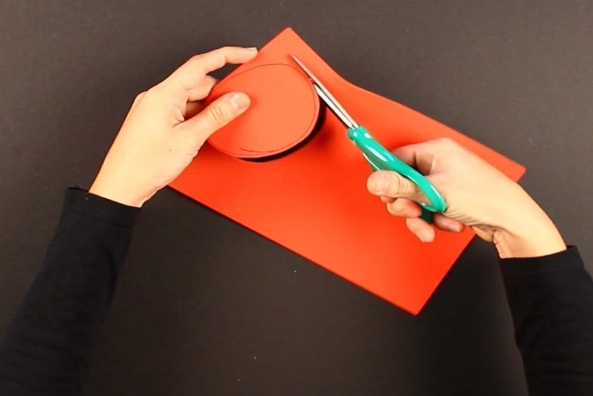 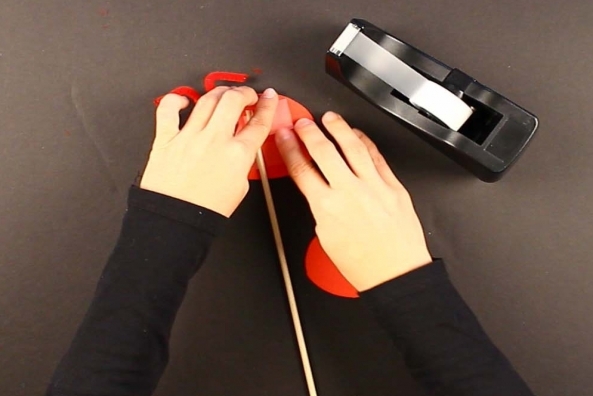 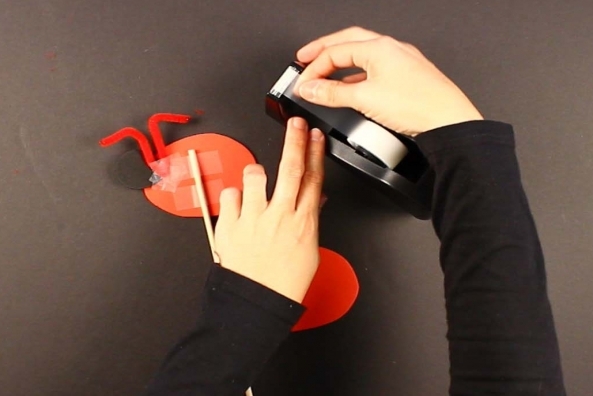 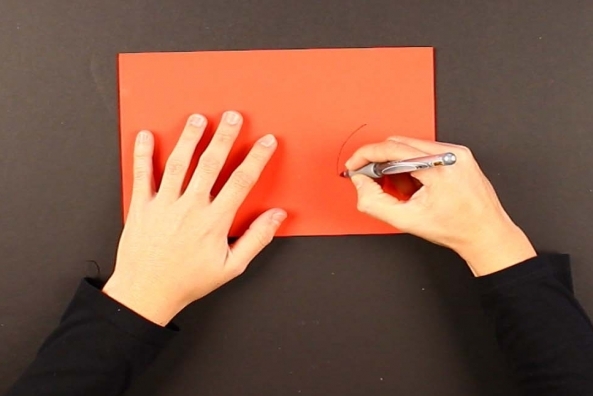 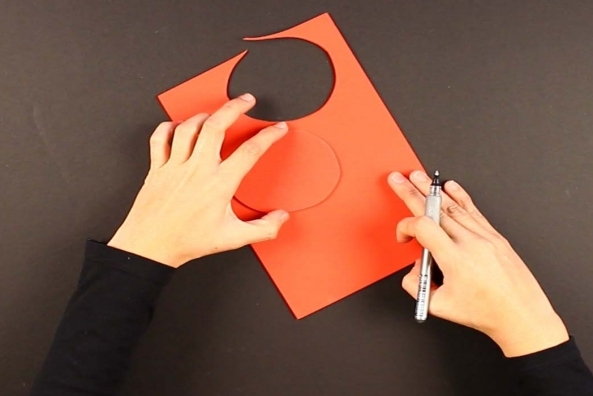 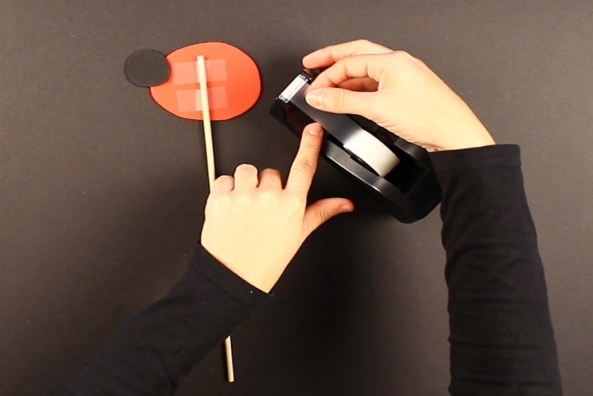 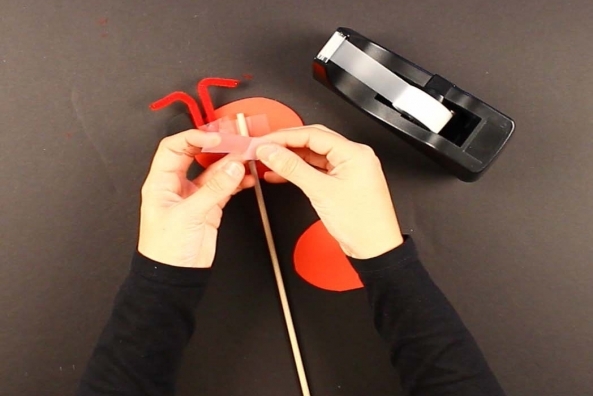 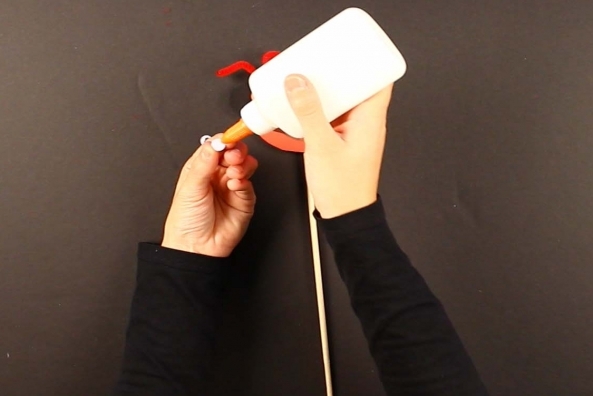 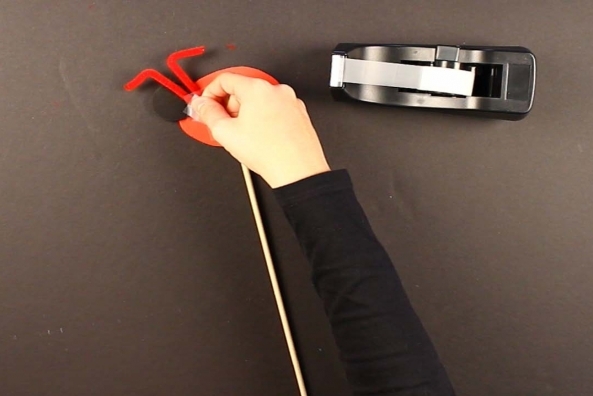 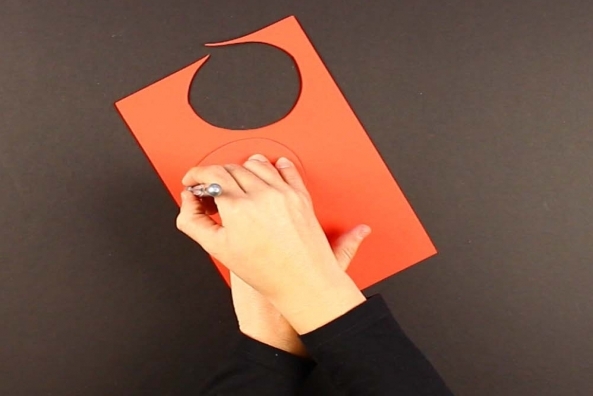 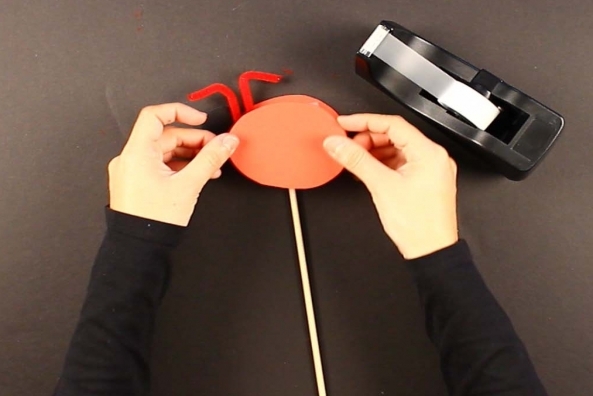 Draw a circle on a piece of red craft foam. 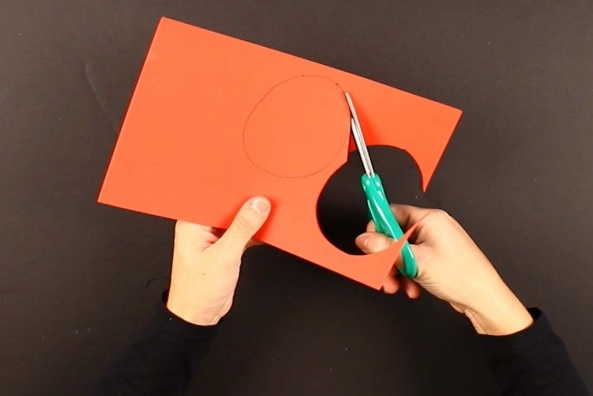 Cut the circle out of the red craft foam. 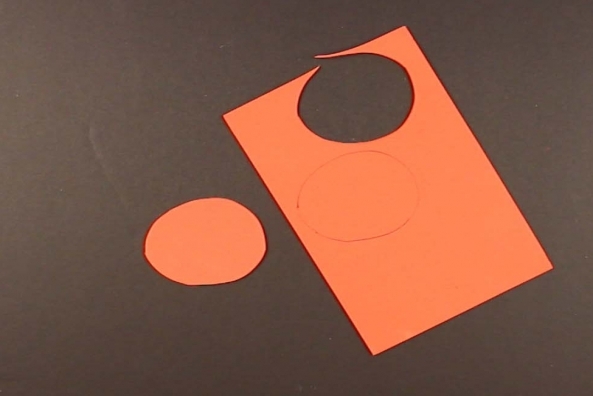 Trace the circle on a piece of red craft foam. 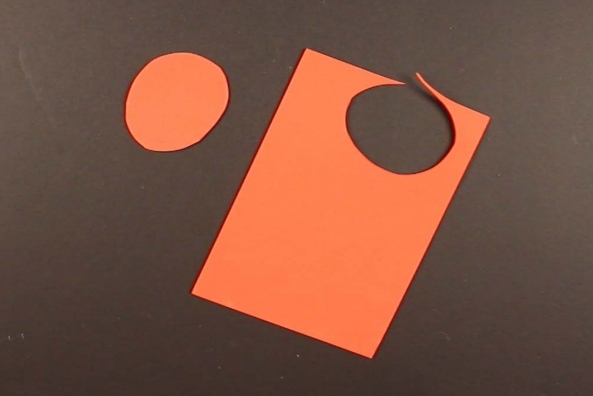 Cut out the circle, again. 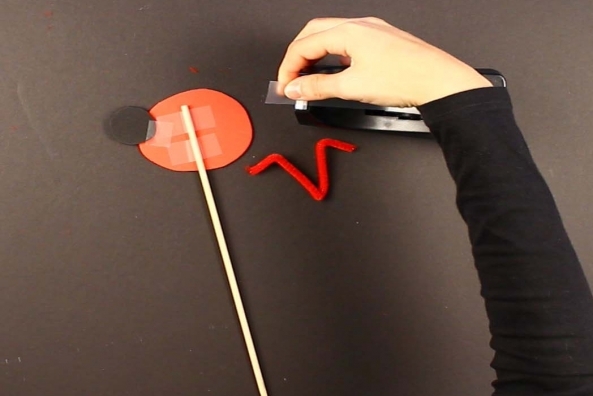 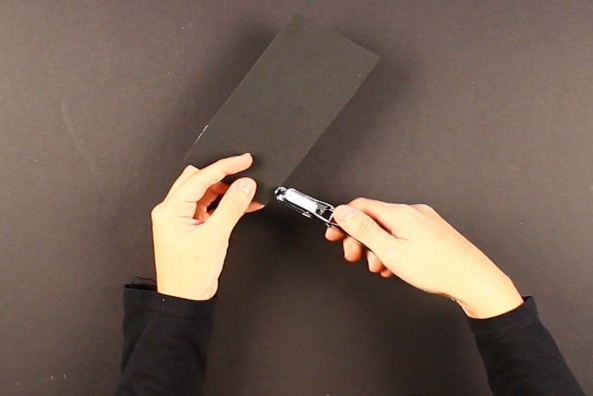 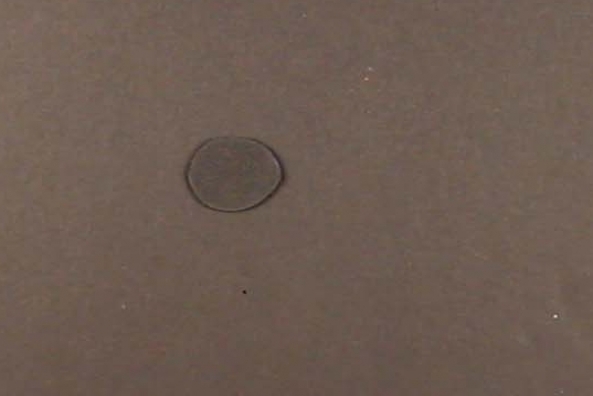 Draw a few smaller circles on a piece of black foam. 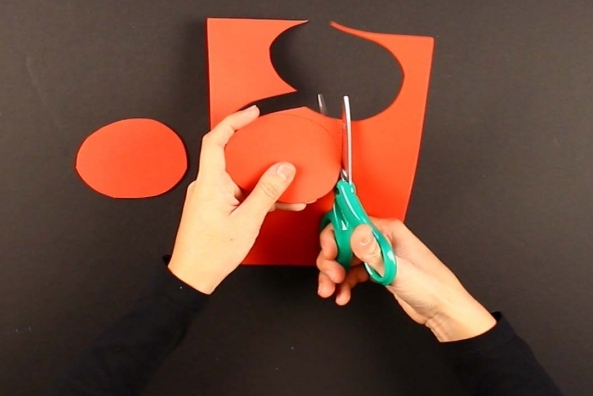 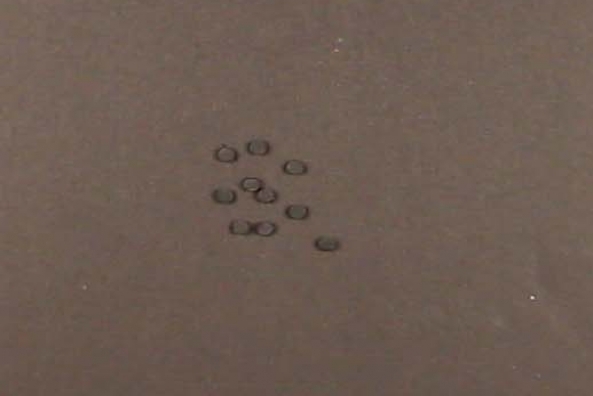 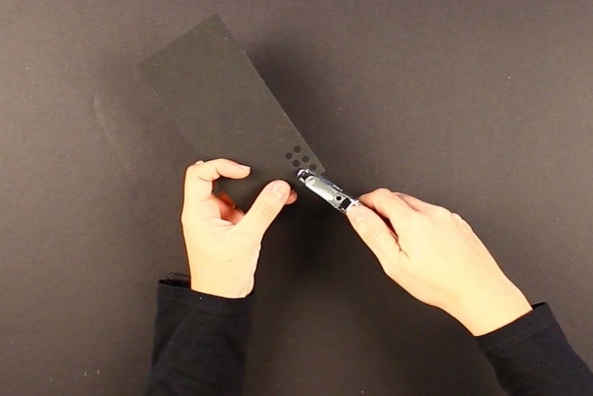 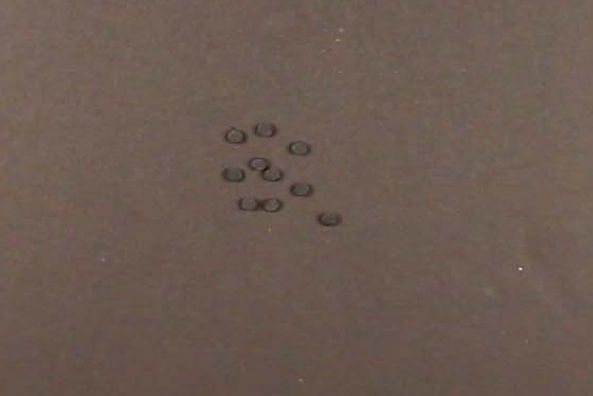 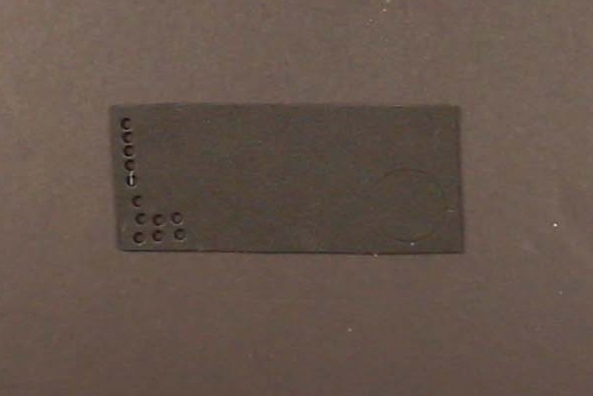 Tip: Use a hole punch and collect the punched out holes. 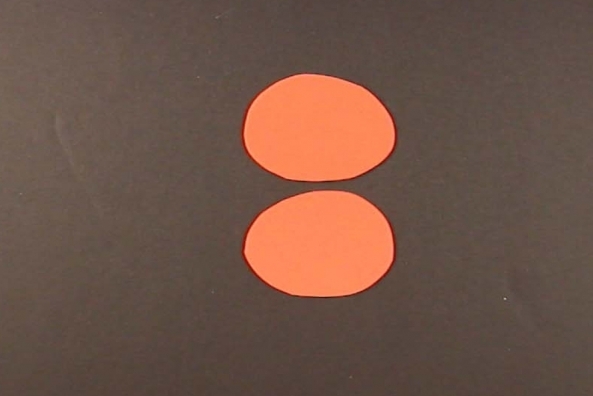 Cut out the black circles if you did not use a hole punch. 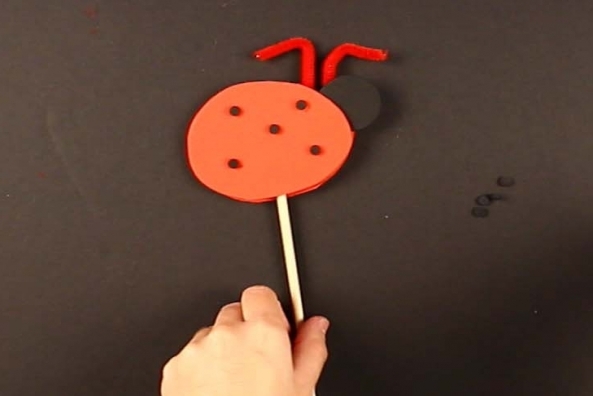 Draw a larger circle on the black foam, this will be the ladybug's head. 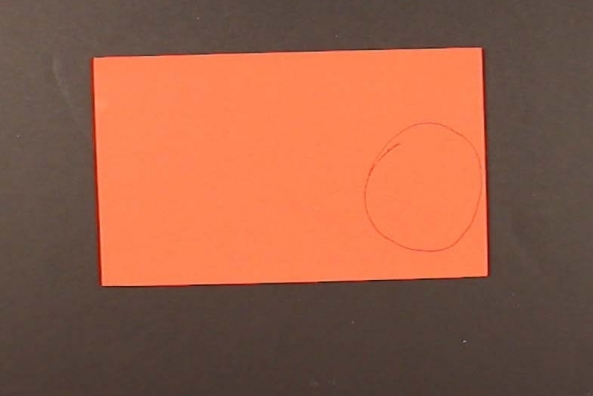 Cut out the black circle. 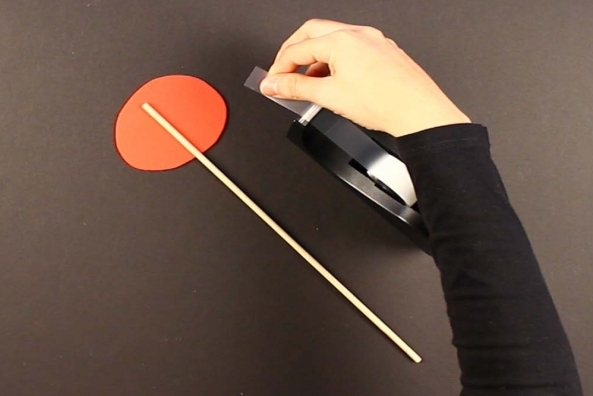 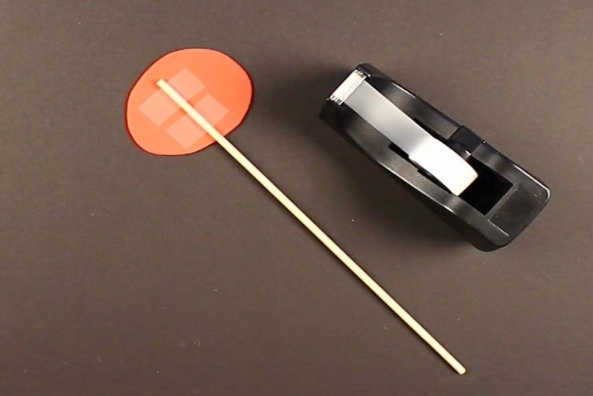 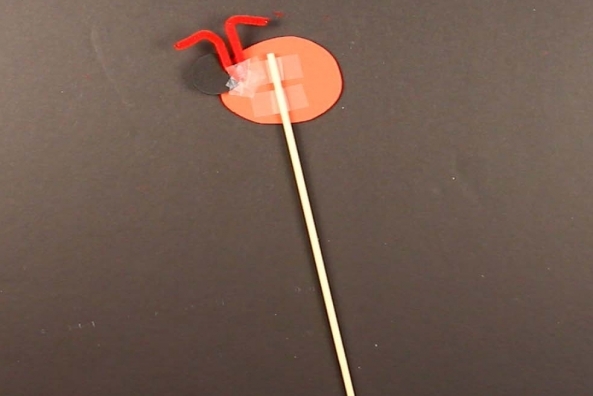 Tape the dowel or stick onto one of the red circles. 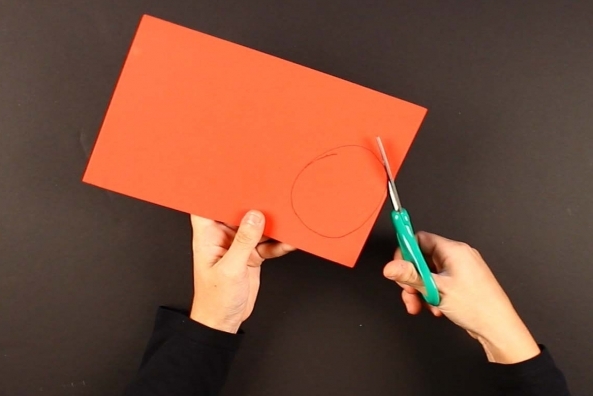 Tape the larger black circle, the head, onto one side of the red circle. 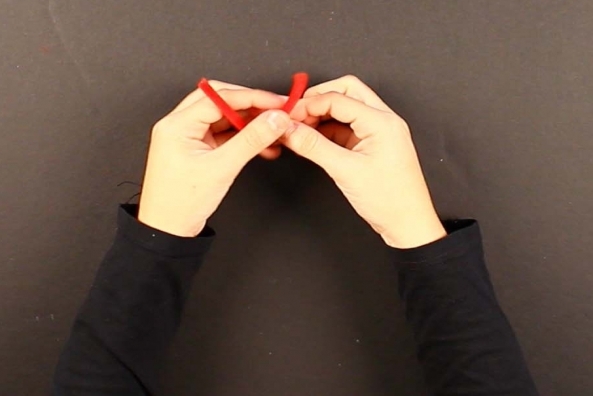 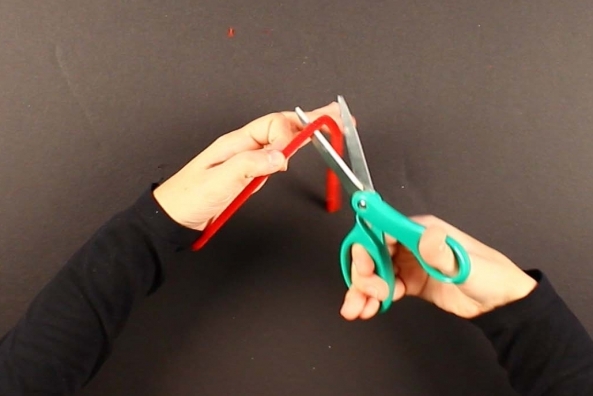 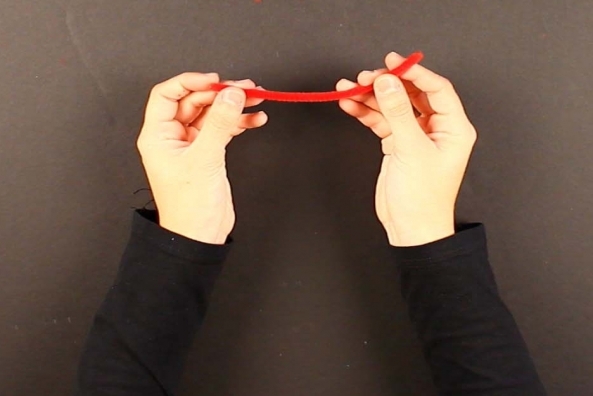 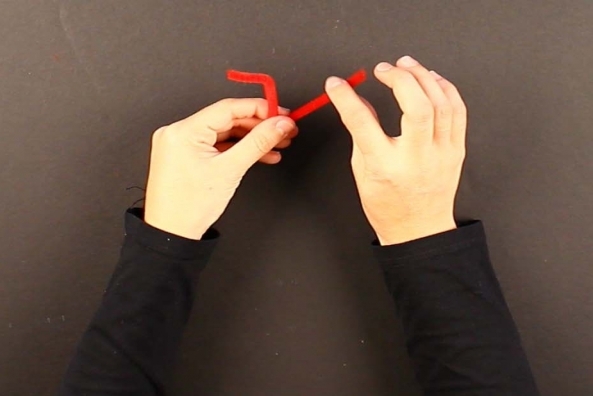 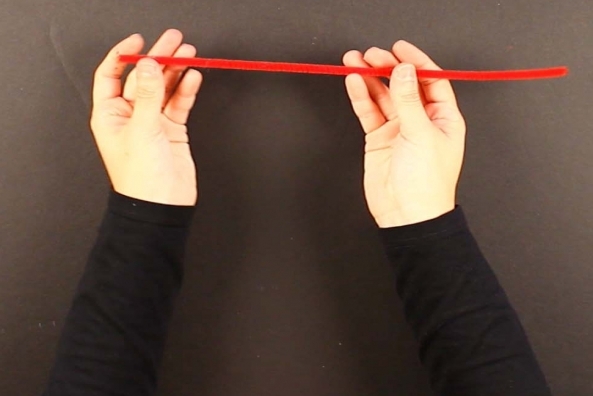 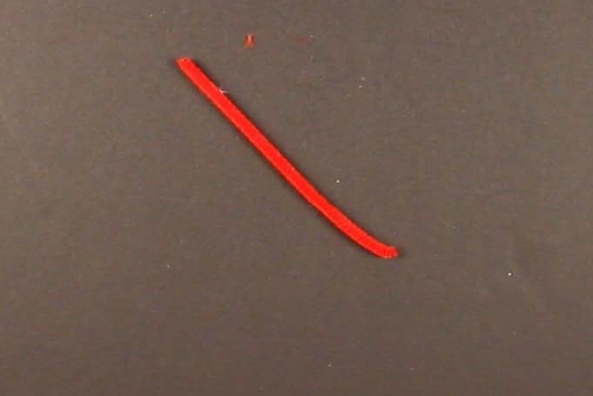 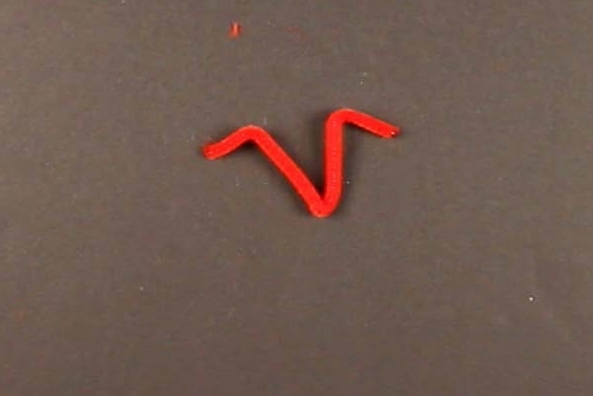 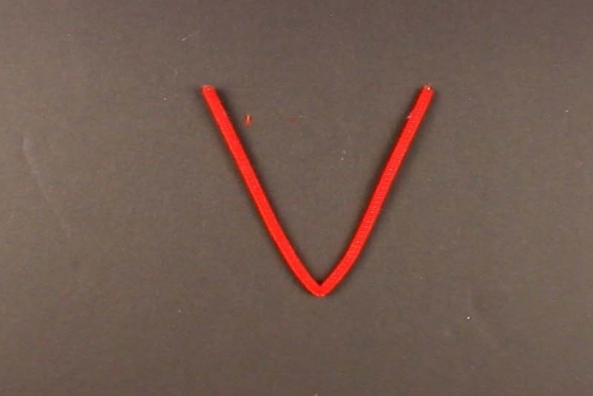 Take a red pipe cleaner and fold it in half to make a V.
Cut the V in half and put one piece aside. 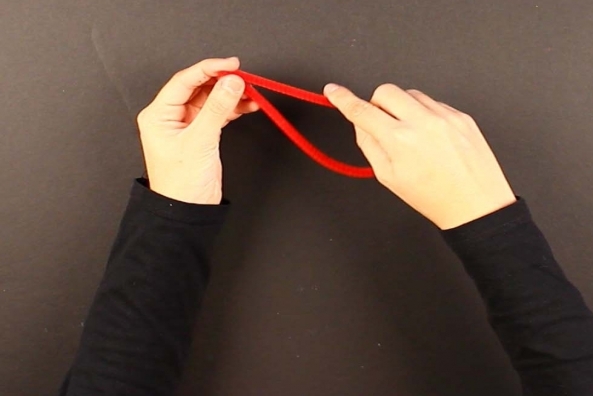 Fold the other piece in half to make another V.
Bend the ends down on the pipe cleaner to make it look like antenna. 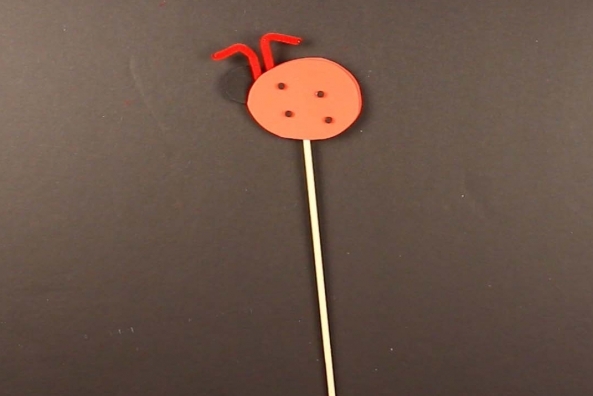 Tape the pipe cleaner antenna onto the head. 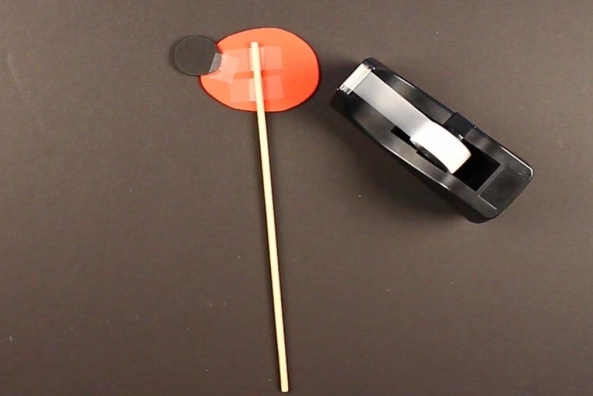 Tape the other red circle on top of your first red circle, so that the dowel is between the two red circles. 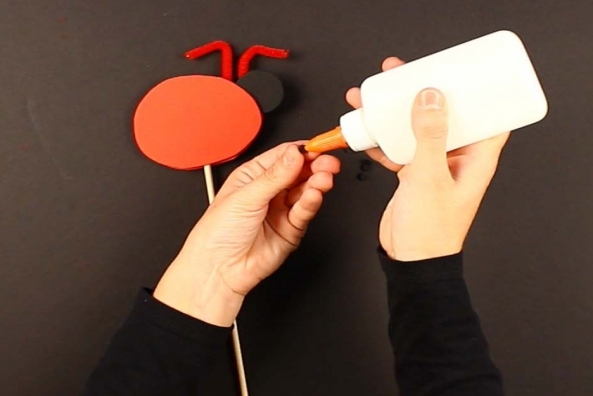 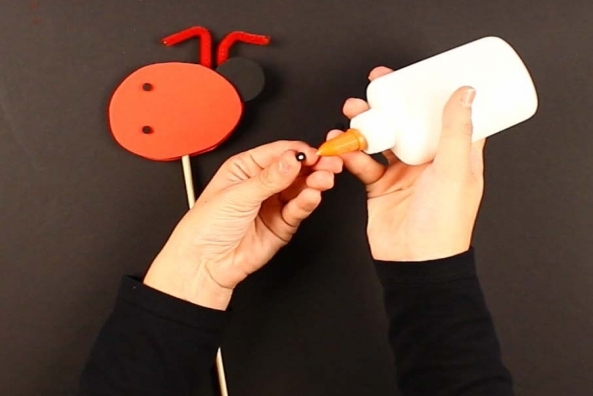 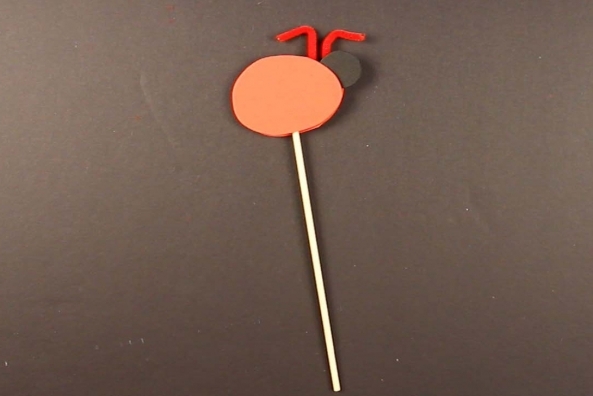 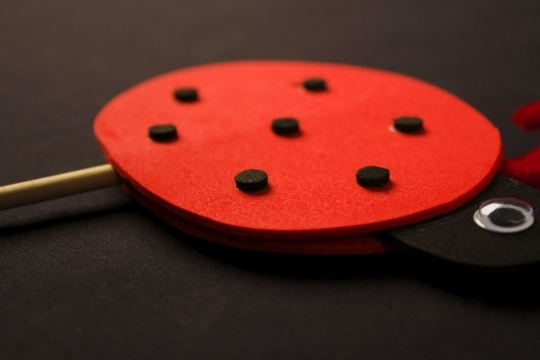 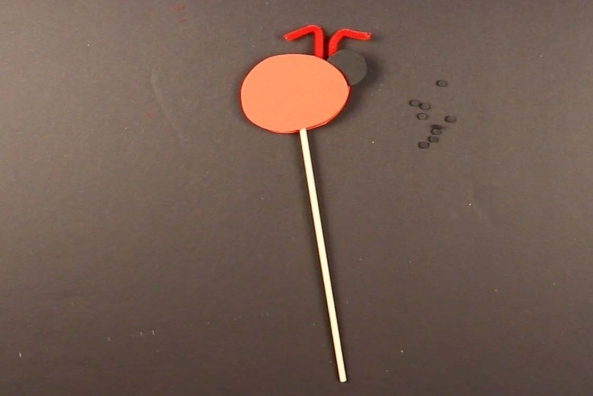 Glue the black dots onto both sides of your ladybug. 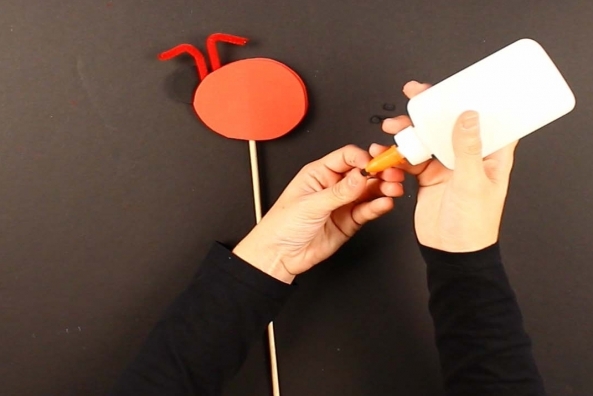 Glue a wiggly eye on either side of the head.